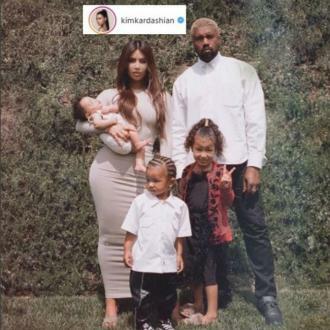 Kim Kardashian West has shared a photo of herself with husband Kanye West and their three children and admitted it was tough trying to get them all to pose together. Kim Kardashian West ''cried'' after taking a family photo. 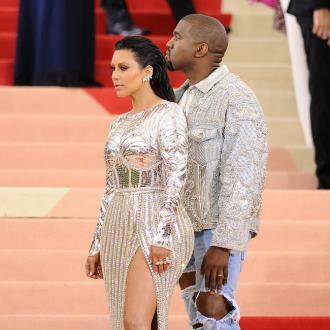 The 'Keeping Up With the Kardashians' star has shared the first photo of herself and husband Kanye West, 40, with all three of their children, North, four, Saint, two, and three-month-old Chicago and she admitted it was very stressful trying to get all the youngsters to pose successfully. And sharing the same photo on Twitter, the 37-year-old beauty admitted everything wasn't as serene as it seemed in the shot. 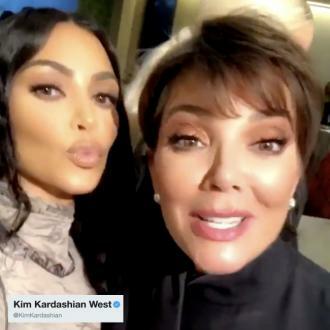 Kim recently admitted she was ''shocked'' that her oldest daughter North has been so ''nice'' to her baby sister because she struggled to adjust when Saint was born. And Kim thought Saint would've been riddled with jealousy when little Chicago entered the household, but he smothers her in ''kisses and hugs'' every day.